The Native Oyster Restoration Alliance (NORA) is a European network aiming at reinforcement and restoration of the native European flat oyster (Ostrea edulis). Network members are representatives of governmental agencies, science, non-governmental organizations, as well as oyster growers and other private enterprises. 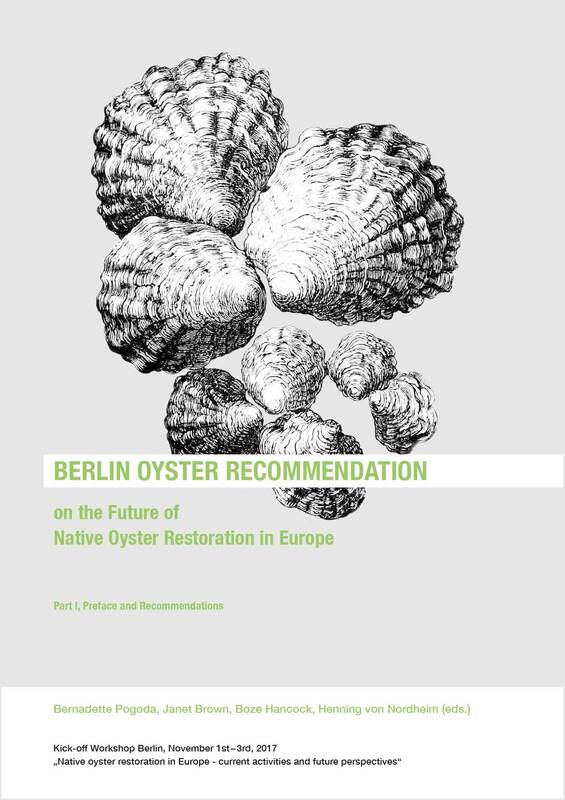 NORA was established during the international workshop on oyster restoration that was held in Berlin in November 2017. 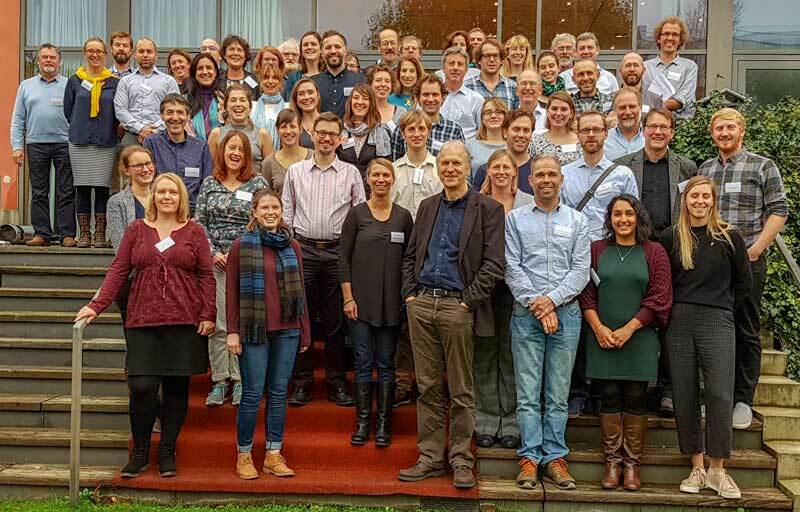 This meeting – organized by the German Federal Agency for Nature Conservation (BfN) and the Alfred-Wegener-Institute Helmholtz-Centre for Polar and Marine Research (AWI) – was attended by 65 experts from 10 European countries and the US. Stocks of the European flat oyster are classified as highly endangered all over Europe. The species is included in the OSLO-PARIS-Convention´s List of Threatened and/or Declining Species and Habitats for the North-East Atlantic. In addition, the EU Habitats Directive provides protection for oyster reefs. The European flat oyster has important functions in the marine ecosystem. Contrary to the currently widely present Japanese oyster (Crassostrea gigas), the flat oyster (Ostrea edulis) is adapted to the deep (20-40 meters) waters of the open sea. As reef structures, flat oyster beds provide a habitat for numerous attached and mobile species around the sea floor of these deeper water. Besides, they have a large water filtering capacity. Therefore, oyster beds are considered to be biodiversity hot spots. 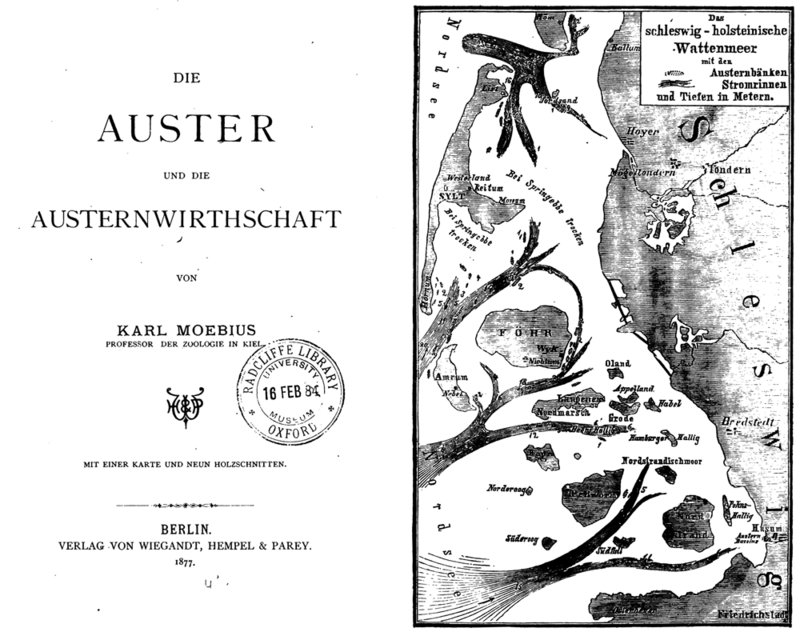 The richness of the ecological community dependent on flat oyster reefs was already shown around the 1880’s by biologist Carl Moebius, who investigated these reefs in the German Wadden Sea (see picture: Mobius book cover). Until about a century ago, thousands of square kilometres of flat oyster beds were present in the open North Sea (see picture: Olsen map). The oyster populations collapsed due to overexploitation. Habitat loss, pollution and diseases further aggravated the situation. What does NORA want to achieve? NORA is a network organisation, aiming at bringing all interested parties into contact, in order to exchange knowledge on flat oyster biology (including illnesses, such as Bonamia ostrea), restoration methods, oyster production, project monitoring, funding opportunities and regulatory frameworks required to facilitate restoration attempts. The long-term goals of the alliance are to re-establish the native European flat oyster, as a key species in the North Sea and other European seas. The main motive behind this is marine nature restoration. Hence, NORA primarily strives to create oyster beds to enrich marine nature. However, on the long run we do not exclude commercial culture and harvesting of flat oysters, once the restoration attempts appear to be successful and stable. The flat oyster survived in estuarine areas in several European countries, mainly due to management of oyster beds within commercial farming. These culture populations provide the starting populations for restoration attempts, to be undertaken in areas where bottom disturbance (such as bottom trawling fishery) is excluded, such as marine Protected Areas and wind farms. Experiments are being set up to show whether these estuarine adapted oysters can survive and spread in the open sea. Spreading is assisted by deploying settlement substrate for young oysters nearby. Step by step, the population area can then be enlarged. A hopeful sign is that in the coastal zone of the Netherlands, flat oysters are currently showing a tendency to ‘escape’ from culture plots, thereby spreading seawards. European scientists at universities, nature conservation agencies and government organisations have been active in research, restoration and protection of the European flat oyster for several years now. Currently, restoration projects are carried out in England, Scotland, Ireland, France, the Netherlands, Germany and Sweden.